Exciting news to wake up to this morning! We're thrilled to have been nominated at this year's Mainframe Derby Awards for 'Project Most Proud Of' for our work on documentary film JA40: The Junction Arts Story! This project had such an impact on us and we're grateful for the recognition and looking forward to the awards ceremony in April. Congratulations to all of the other nominees from Derby's wonderful creative community too! To check out the full list of nominees, visit the official Mainframe Derby website here. You can also view our nominated film JA40 on our website on the documentary film page. As ever our sincere thanks go to Junction Arts for the initial commission for this project and the organisations who have supported the film including Arts Council England, The Heritage Lottery Fund, Derbyshire County Council and Bolsover District Council. The film will be screening again in Matlock this Autumn at a public event with Q&A session, more details will be shared on our website nearer the time. 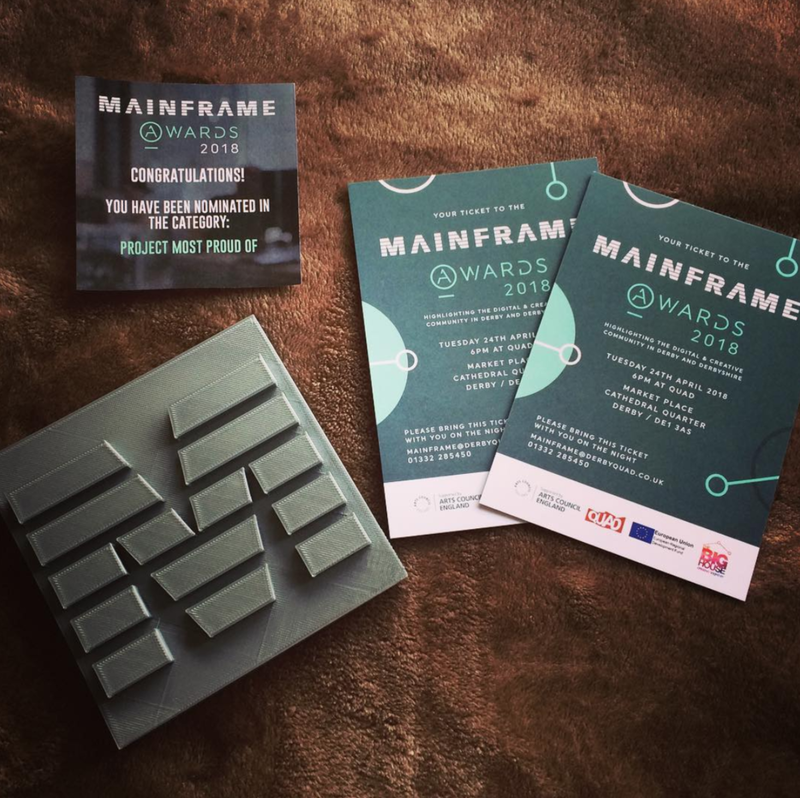 Update 23/04/18: Our tickets for the Mainframe Awards Ceremony arrived in the post last week and we couldn't resist sharing a photo of them along with the lovely Mainframe nominee 'M' we received!